Ornaments -- Colored Mills and Tulips Set of 7 - Ornaments - The Dutch Shop LLC your store for Dutch groceries. 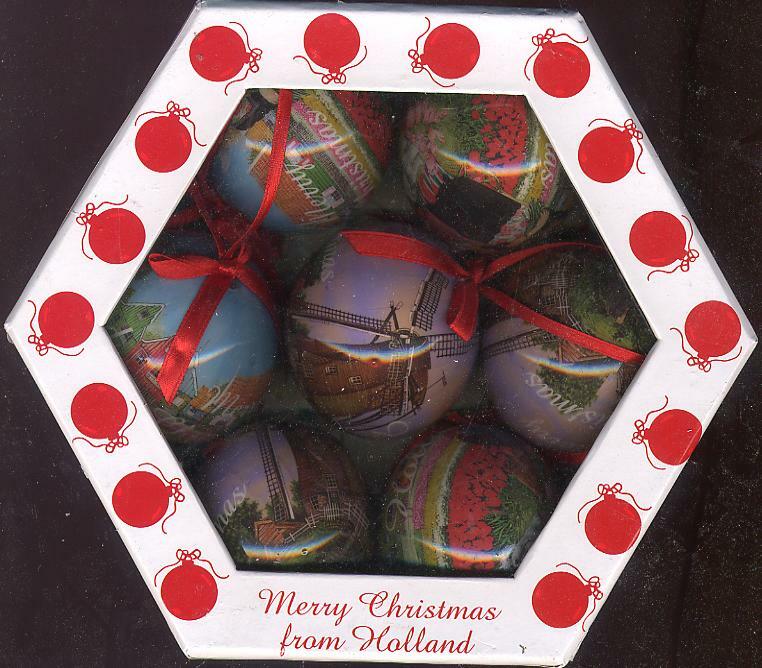 Set of 7 ornaments with colorful scenes of windmills and tulip pickers. 6cm balls with red ribbon to hang them.